Atlanta, Georgia, is trying something new when it comes to protecting the city’s green spaces. For many years, Atlanta residents saw their parks and community green spaces replaced with parking lots, urban developments, and buildings. Although the building up of the city hasn’t stopped, conservation groups and individuals are working with Atlanta’s existing green spaces and forests to help maintain the city’s natural environment and environmental defenses. Woodlands are important in any city. Forests have a variety of uses, one being the containment and filtering of rainfall. This gathering of precipitation can help replenish needed underground aquifers, keep the watershed flowing, and allow residents the ability to learn about their local flora and fauna in a serene, open air space. NASA’s DEVELOP program has utilized satellite data to pinpoint areas around Atlanta that should be protected to preserve the area’s natural resources. 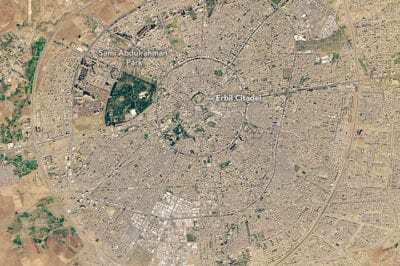 Researchers used satellite data to analyze images for areas that should be protected as green spaces. This data allows conservation groups to focus their energy on specific areas that are the most beneficial for protecting Atlanta’s water supply. Forests and other green spaces could help with Atlanta’s growing wastewater problem, which has become worse in recent years. Trees are able to filter rain and groundwater, and utilizing this natural filter could make Atlanta’s wastewater problem slightly less problematic. The researchers hope to empower local conservation groups to focus on different areas of the city for their conservation and cleaner water efforts. The wastewater produced by Atlanta often flows into more delicate ecosystems downstream, and cleaning the water using the forests could mean there is less of an impact on these systems in the future. Protecting Atlanta’s water and protecting existing woodlands and green spaces is an incredibly important goal, especially with the climate challenges facing the world today. 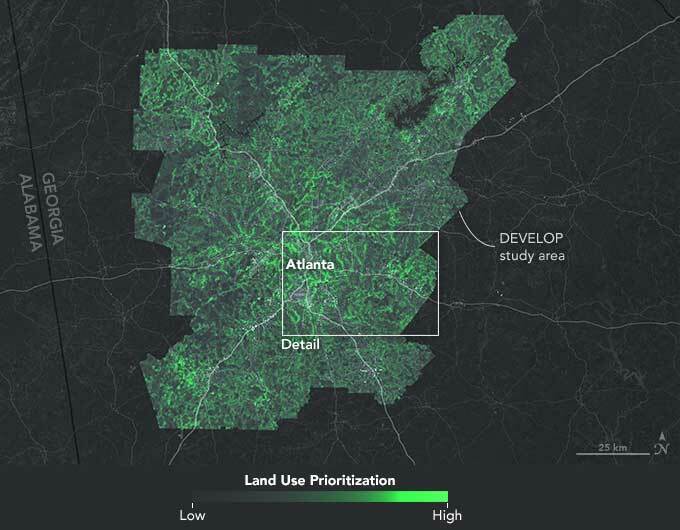 Land use prioritization map, which shows important conservation areas in Atlanta based on criteria such as proximity to waterways and existing green infrastructure. 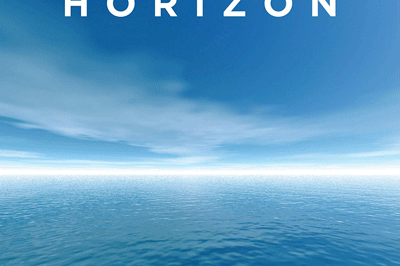 Map: The Nature Conservancy and NASA. NASA supports many different efforts to keep our Earth healthy, and the use of their satellite data has proved to be essential to studies like this one. Understanding how our Earth works and how we can keep our water clean helps balance man and nature.